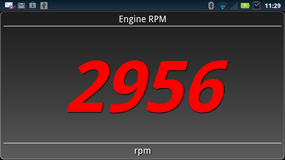 Auterra's software is easy to use and runs on a Windows PC, Android powered device or a DashDyno SPD. Auterra packs an incredible range of features into the software. The software package has two categories of functions: First, it's a full-featured On-Board Diagnostics II (OBD II) scan tool capable of diagnosing a wide range of vehicle problems. 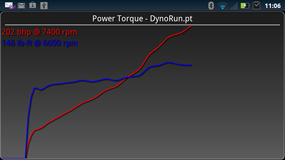 Second, the dynamometer package measures vehicle performance, such as engine horsepower/torque and 0-60 times. Never before has a scanner provided such power and unique features! Auterra includes thousands of generic and enhanced DTC definitions within the software (e.g. a P1234 code could have a definition of "Oil pressure too low fault"). Generic definitions are common to all 1996 and later vehicles. Enhanced definitions are specific to a vehicle make. If your vehicle manufacturer is not listed below, the scan tool will work fine since the Generic database has all the industry standardized generic definitions.